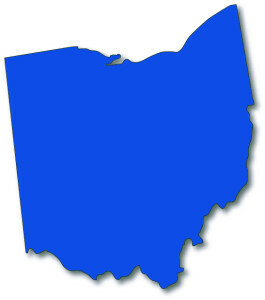 Landrum Chemical is proud to offer our cleaning chemical products throughout the state of Ohio. We offer prepaid freight of all 55 gallon drums and 275 gallon totes. Landrum Chemical manufactures industrial cleaning chemicals and custom blended solutions to fit your company’s unique needs. We understand the importance of maintaining a clean and professional business, and we are committed to helping you and your facility look its best. From the latest cleaning solutions to industrial strength products, we offer the best specialty chemicals and custom solutions. Using environmentally friendly water-based industrial cleaning chemicals, we provide everything you need to stay running clean. Our highly qualified team of chemical experts have the experience and knowledge to use existing chemical formulations as well as develop custom formulas and specialty products to meet your needs. To create a custom blended cleaning chemical solution specifically designed for your needs, we can provide personalized scent, color, and private labeling services for many of our solutions. We provide the option to create custom labels for each of your products including your company logo, custom name, and packaging to create a personalized product that is both unique and effective. We process bulk orders for large and small packaging of custom blended chemicals with quick turnaround times throughout the state of Ohio. Any of our custom chemical blends can be packaged in sizes from five to 275 gallons. Start with a small size to try out your custom product; we will keep your formula on file for when you’re ready to reorder a larger size.